POCO India Teases a Big Announcement Tomorrow, New Gradient POCO F1 Phones Coming? Xiaomi‘s sub-brand POCO seems to be in a festive mood this Christmas. It has revealed through its Twitter account that something big from the brand is coming our way tomorrow. While the brand has teased the arrival of a new POCO smartphone altogether, speculation is rife that the ‘big announcement’ will simply be the launch of POCO F1 phones in gradient colors. We had published an exclusive leak earlier, revealing that the Armoured Edition will trickle down to the two 6GB RAM variants of POCO F1, Earlier, it was launched only in an 8GB RAM variant. 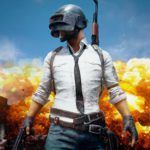 However, the leaks coming in are somewhat contradictory, so there is some confusion as to what is going on. 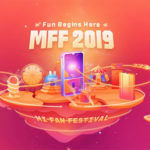 Is Xiaomi about to launch new gradient colors for its POCO F1? 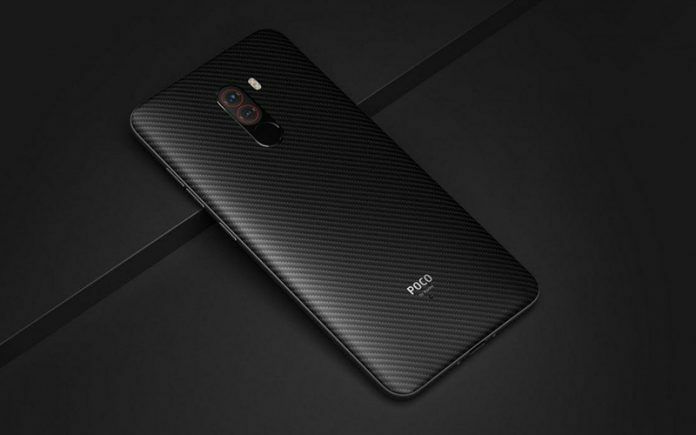 Is it going to launch all POCO F1 models in an Armored Edition variant with the Kevlar back? 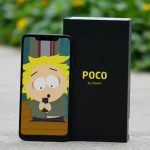 Or is there a new POCO phone after all? Come Christmas and we shall see what the fuss is all about. But for now, let’s make some an informed guess. Xiaomi Faux Pas On Gradient Editions? POCO India general manager C Manmohan, in a separate tweet, asked fans to guess when the new POCO would come to India. “Last week’s been crazy! #POCOF1 has won awards & appreciation one after the other and #Christmas seems to have come early! … But, that’s not all. I have a surprise for all of you. A #NewPOCO is coming. Can you guess when? ? “I have a surprise for all of you. A #NewPOCO is coming. Can you guess when?” he asked. In a cheeky response, someone by the name Shubham Chaturvedi said, “As soon as you are able to repack all the unsold units with new gradient back covers.” In support of his claim, he shared a snapshot from the No 1 Mi Fan Sale that shows the POCO F1 in three variants listed in gradient color, but out of stock. Since the phone never went on sale in gradient edition here, it makes no sense for the gradient option to be out of stock. 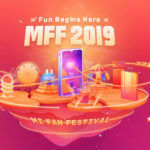 The faux pas made by Xiaomi on its website shows that gradient color editions for the POCO F1 in three memory configurations are ready for sale. Perhaps Xiaomi had initially planned to launch them in the No 1 Mi Fan Sale, and at the last moment, decided to hold back their sale until Christmas. The No 1 Mi Fan Sale began recently, while the tweets about the ‘New POCO’ phone from POCO India’s and Manmohan’s Twitter accounts came late last night (Sunday). According to the screenshot shared by Chaturvedi, the gradient color edition of POCO F1 will cost INR 19,999 for the 6GB RAM variant with 64GB of storage, INR 21,999 for the 6GB RAM variant with 128GB of storage, and INR 25,999 for an 8GB RAM with 128GB of storage. As you can see, these prices are the same as those of corresponding current non-gradient models, or even lesser, with a new 8GB+128GB model thrown into the mix. This means that the gradient color editions will not cost extra, and Xiaomi may either give a price cut or a temporary discount of INR 1,000 to its 6GB+128GB variant, which presently costs INR 22,999. 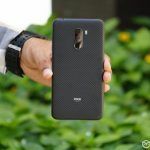 If that is true, it means that new POCO F1 6GB RAM variants will not be coming in Armoured Edition after all, since the special edition with a Kevlar back does not have a gradient color and is available only in 8GB RAM + 256GB internal storage configuration, costing as much as INR 28,999. Instead, Xiaomi may be launching new gradient colors for the POCO F1 in three different memory configurations, branding them as new POCO F1s, keeping the price tags in check.